Marcus Rashford celebrates his all-important penalty. It's a decision that has been discussed across the football world since Manchester United were awarded an injury-time penalty to beat PSG. Home defender Presnel Kimpembe, turning his back, was adjudged to have handled a Diogo Dalot shot as it struck him in the box and, having consulted with the Video Assistant Referee, Damir Skomina pointed to the spot. So what are the rules? The International Football Association Board rulebook states that handball is the 'deliberate act of a player making contact with the ball with the hand or arm'. Head of Uefa referees Robert Rossetti gave an insight into the law's implementation in January. He told the Times that any player using his arms to make his body bigger in order to block the ball would be penalised in this season's Champions League. "The big challenge is the position of the arm," he said. "When the arm is totally out of the body above the shoulder it should be penalised. If the defender is making the body bigger in order to block the ball it is not fair. "It is different if the defender is challenging or playing the ball and it rebounds. But if he is looking to block a cross or a shot on goal and the player is trying to spread his body then it is a handball." 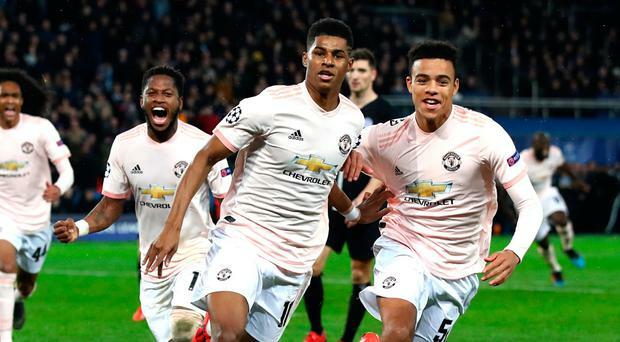 And it's for that reason, as Kimpembe was adjudged to have deliberately made his body bigger in an effort block Dalot's shot, that the penalty was awarded.